The d:vote Core 4099 Instrument Microphone, Loud SPL, with Universal Mount from DPA is designed to capture audio from your instrument for live sound and recording applications. The universal mount can be adjusted by one hand and is optimized to attach itself gently to your instrument to prevent damage and marks. The Core 4099 has a pre-polarized condenser capsule with a supercardioid polar pattern. Its gooseneck allows for a variety of positioning possibilities. 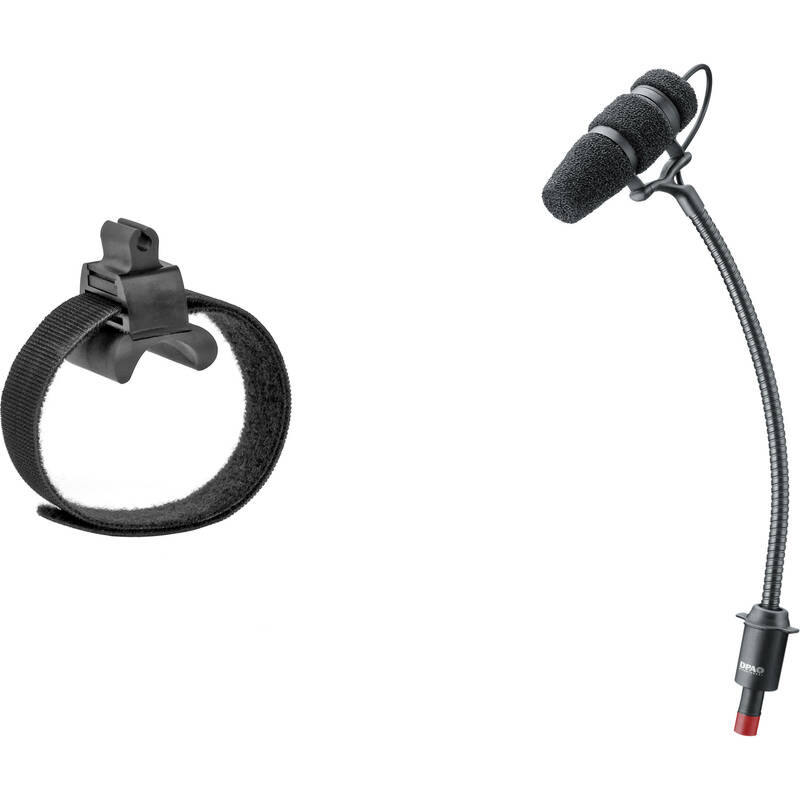 The microphone terminates with a 5.5" gooseneck and a MicroDot connector. It includes a cable and an XLR adapter providing compatibility with mixers and sound reinforcement systems.